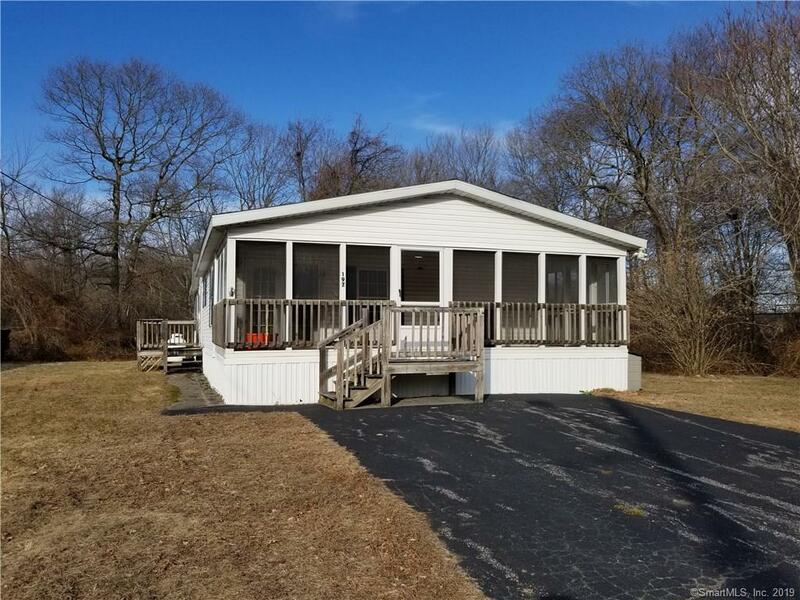 197 D Street, Groton, CT.| MLS# 170161886 | Eastern Connecticut - Homes for Sale...from Mystic to Moosup & More ! From the Shore to the Country ! New Listing PRICED TO SELL this 1,400sf. double wide is located on an end lot in High Rock MHP. Unit features 3 bedrooms, 2 full baths and new carpeting. Also shingled roof, vinyl siding, central air and full front screened in porch. Available immediately. All adults going to be living in the unit are subject to park approval. Application fee $100. Lot rent as of 3-1-19 is $515. Plus $10. per month for a dog. Directions: Route 1 To Poquonnock Rd. To Ginger Dr. To The End. Left On Dr, To The End. Last Unit On The Left.